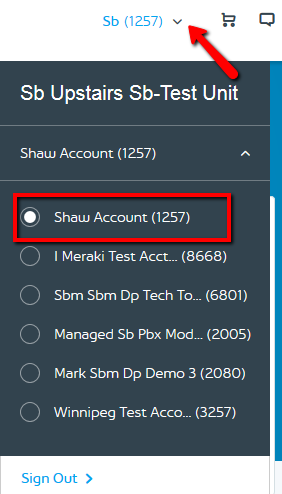 Within my.shaw.ca, you can link multiple 11-digit account numbers together so that you can easily manage all of your Shaw accounts through one My Shaw login. 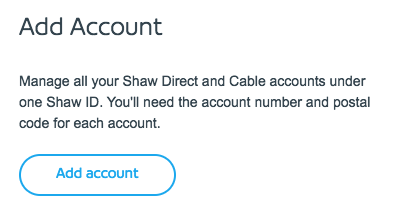 A Shaw ID profile for one of your Shaw accounts to use as the login to link the other accounts to (if you haven't done this yet, follow the how-to information provided in our article 'Getting started with My Shaw'). The 11-digit account number and postal code associated with each account to be linked to your primary Shaw ID (4- or 5-digit accounts cannot be linked to your 11-digit accounts). Sign in to My Shaw. Select 'My Profile' from the menu on the left. Scroll down to the 'Add Account' section and select '+ Add account'. Add the account number and postal code as prompted, then select 'Verify account'. If all of the information you have entered is correct, you will see a message stating that your accounts are now linked. Repeat for each additional account you wish to manage under the same Shaw ID. Logins with multiple linked account will only show info for one account at a time. 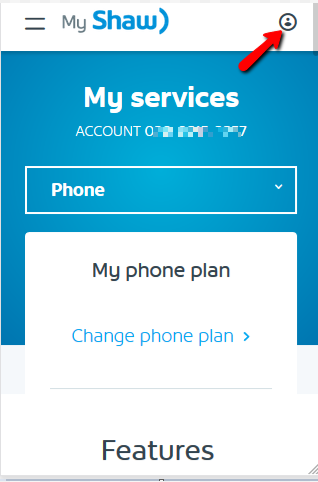 To view or manage another account’s information, select the account you need access. Select the drop down arrow.